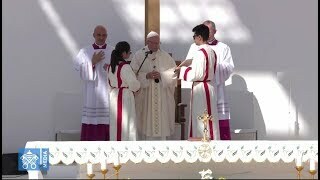 There are 200 results for "From the Pope"
In the Shrine of the Holy House of Loreto, where according to tradition Mary said yes to God's plans, Pope Francis asked young people to discover their personal vocation in the Church and help foster a new flourishing of holiness in God's people. 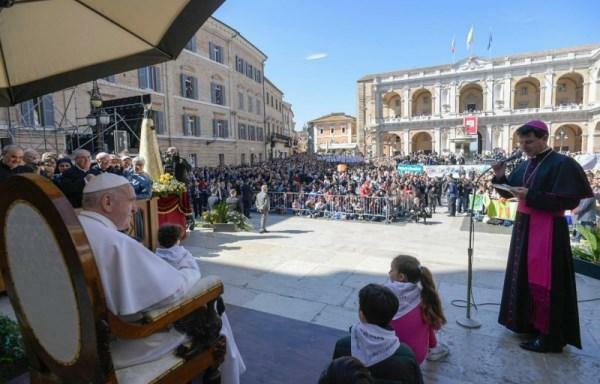 "The courage to take a risk"
Message of Pope Francis for the 2019 World Day of Prayer for Vocations, on May 12. Through the call He addresses to each person, our Lord "opens before our eyes the horizon of a greater sea and an abundant catch." "You are a beloved child of God"
"If all our earthly loves were to disintegrate, there is always for all of us, ardent, the unique and faithful love of God." 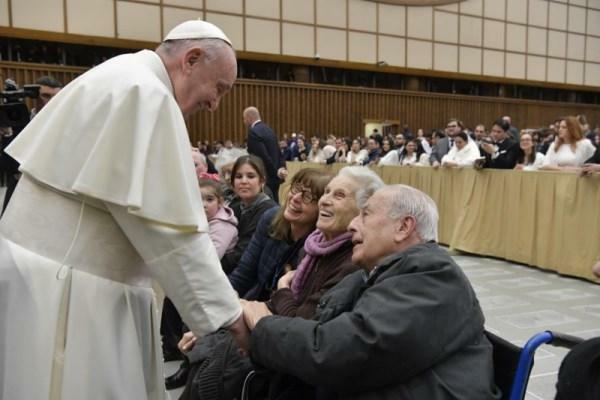 In his February 20 general audience, Pope Francis continued his catechesis on the Lord's prayer. 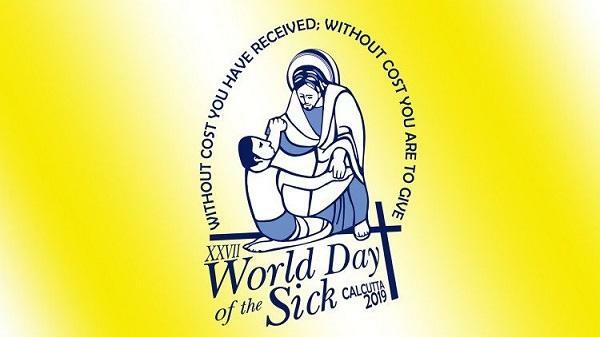 The 27th World Day of the Sick is being celebrated in Calcutta, India, on 11 February 2019, feast of Our Lady of Lourdes. 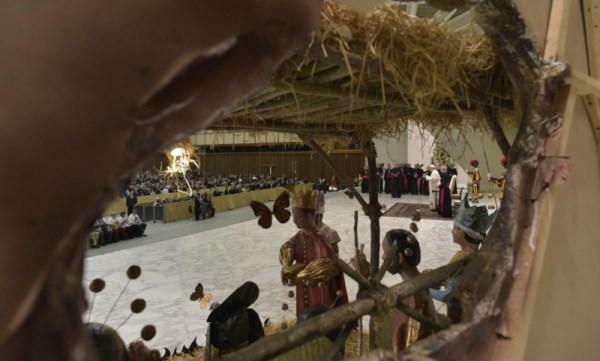 Pope Francis made a brief apostolic visit to the Unites Arab Emirates from 3-5 February. 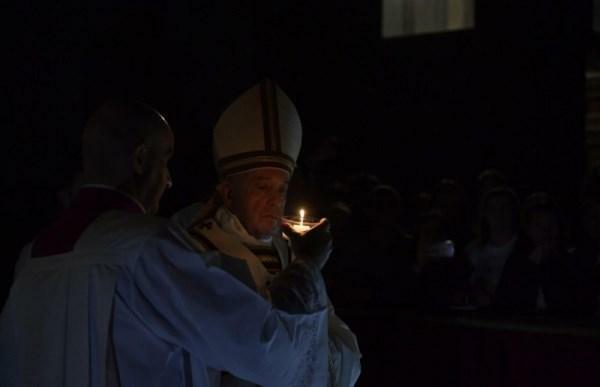 Links to his addresses and homilies. "We continue to say 'Our Father,' but with the heart we are invited to say 'Papa,' to have a relationship with God like that of a child with his father." 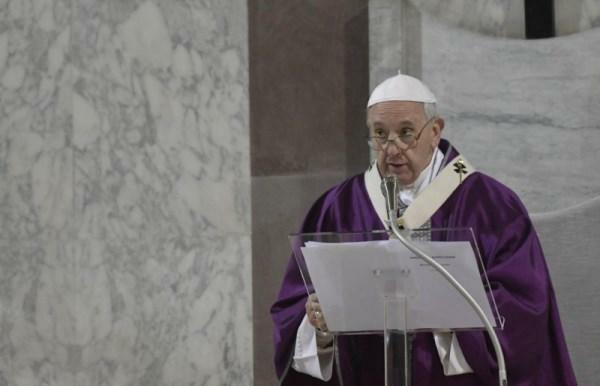 In his January 16 general audience, Pope Francis continued his catechesis on the Lord's prayer. 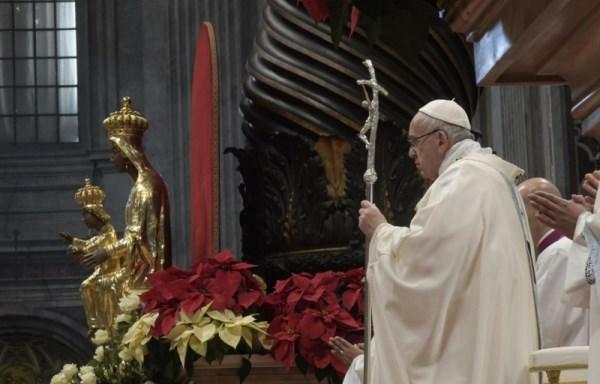 "Mary's eyes reflect the beauty of God"
Homily of Pope Francis given on January 1 in Saint Peter's Basilica, for the Solemnity of Mary, Mother of God. 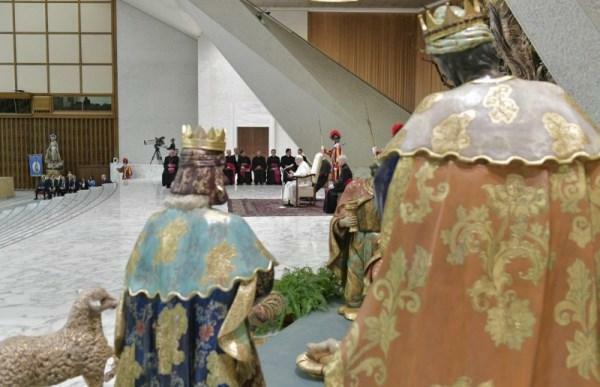 "Heed the silent voice of God over the noise of consumerism"
In his 19 December general audience, Pope Francis spoke about the true meaning of Christmas. "Christmas is the victory of humility over arrogance, of simplicity over abundance, of silence over hubbub, of prayer over 'my time,' of God over my 'I'." 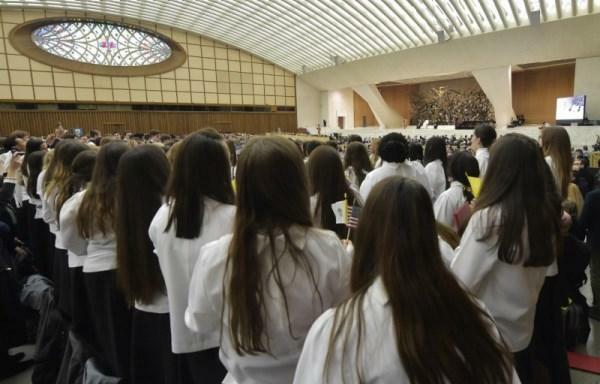 In his December 5 general audience, Pope Francis began a new cycle of catechesis on the Lord's prayer. "Jesus’ prayer, his intimacy with the Father, governs everything." World Youth Day 2019 will be held in Panama City, from 22-27 January. 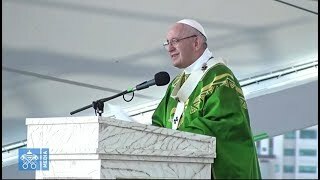 Here is a message from Pope Francis about this event, which has as its motto our Lady's words: "Behold the handmaid of the Lord."